He further declared that the Inspector-General of Police, Ibrahim Idris has concluded plans to plant guns and other incriminating items at his Asokoro Extension Residence in Abuja. Addressing journalists at the Government House, Port Harcourt on Saturday, Governor Wike said that the Inspector-General of Police on Friday approved the raid of his Abuja residence. According to the governor, the Police will be in court to get a search warrant on Tuesday. He said information available to him indicated that but for the May Day Public Holiday, the Police would have obtained the search warrant on Monday . He said: “All attempt is being made so that they will go and plant either AK47 or one million dollars in the governor’s house. They can even plant costly wrist watches as a propaganda tool. “I said I have to let Nigerians know that this is not the way to go about in democracy. Rather, this is an attempt to truncate democracy. That someone differs on issues does not mean you have to go after the person’s life”. Governor Wike said this is the latest in the series of planned propaganda by the police to sow devilish information against him. He said because of the unconstitutional nature of the raid, the police refused to indicate that the house to be raided belongs to the Rivers State Governor. “Nigerians should be aware that should they raid my house in Abuja and claim they found anything, it is incorrect. I have not been going to Abuja, but I will be in Abuja to wait for them to see how they plan to plant guns in my house”, Governor Wike said. 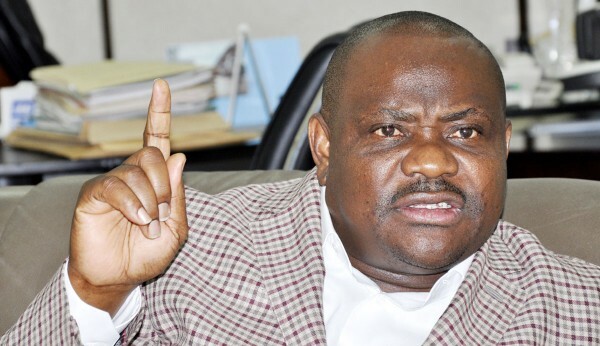 While maintaining his position that the Inspector-General of Police is after his life, Governor Wike stated that this recenta plot is aimed at silencing him because the Rivers State Government claimed the Ikoyi Billions, which was reportedly left there by the former Rivers State Governor. He decried the pattern that has been adopted in the nation’s democracy, saying that it will negatively affect the growth of democracy. “Our democracy cannot survive if we continue with this line of action. If the Inspector-General of Police wants to play partisan politics, let him remove his uniform and join us in the arena. He should not continue to wear uniform and do the bidding of politicians like a stooge”, he said. The governor added: “I want to reiterate, the Inspector-General of Police is after my life”. He regretted that security agencies have adopted the unwholesome method of planting guns and cash when the owners of the houses are not at home, simply for political reasons. He cited the case of Former Benue State Governor, Gabriel Suswam and Senator Danjuma Goje. On the Ikoyi Billions, Governor Wike maintained that Rivers State lawyers are working on the matter, stating that the money belongs to the Rivers State Government.